So you got into an accident and you brought your car to an auto repair shop to have it fixed. Now a couple of days or weeks later, it is parked in the repair shop’s driveway, ready for pick up. Before you take it home with you, it is crucial that you inspect the work done on your vehicle, to make sure that it has been fixed properly. Below are some tips on what to look for when inspecting your car post repairs. This is probably the easiest to inspect, and you don’t have to be an expert on cars to know whether your vehicle is clean or not. Auto repair shops can be very dirty because of the grease, oil and dusts from repairs. Check for dusts and dirt in the car’s interior and on the exterior. Your car should have been thoroughly washed and cleaned before the shop hands it back to you. Most of the time, only the damaged part of your car will be repainted. You have to examine if the new paint is consistent with the car’s original color and finish, most especially if several panels have been repainted. Check if the texture is as close as possible to the original texture. Also, search the repainted parts for imperfections like specks of dust or hair strands that got trapped in the finish. It is best to pick up your car during the day so you would be able to see these things better. After examining your car’s appearance, it is now time to zoom in on the areas that have been repaired. See if the spaces between body panels are even. The distance between the fender to tire should also be the same for both sides. Check if the doors, the deck lid, and the hood are all closing and opening smoothly. Make sure that your headlights and brake lights are aligned and are working properly, as well as all your electronic accessories. Once your car has passed physical inspection, you now have to take it for a test drive to see if it is functioning properly. Keep an ear out for unusual sounds or noises as this are signs that something is off with your car. As you drive your car, observe if the car is pulling to a certain direction. This could indicate a problem with the alignment and poor handling would cause you more accidents in the future. Also, make sure that the brakes are working properly. 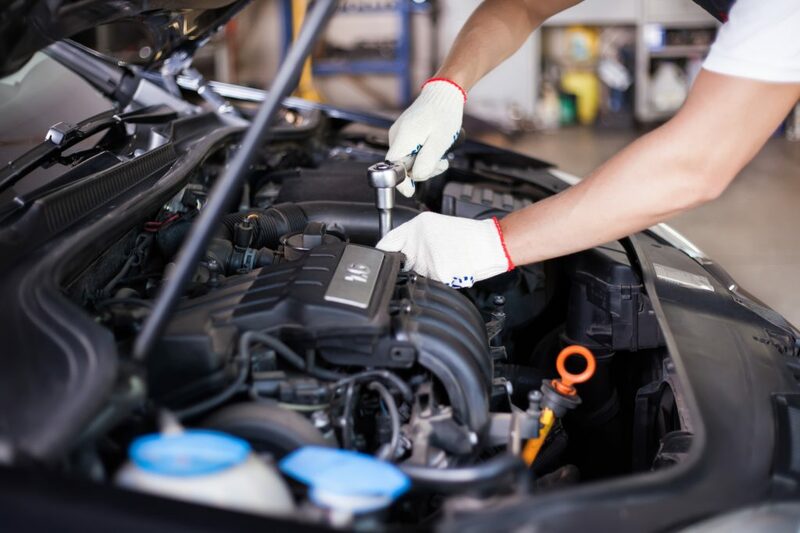 When you notice any problems after doing the inspections mentioned above, you should speak with the mechanic and ask for an explanation or ask them if they can fix the problem. Remember that your car should be in tip top condition before taking it home.